One of the Gatlinburg Tennessee resorts, Zoder's Inn and Suites encourages you to take a trip to the mountains in January. You may surprised to know that Gatlinburg boasts January temperatures in the 50s – perfect for hiking in the National Park. Of course, you will still need to wear layers and a hat, maybe even gloves. Bring a small backpack and you will be able to remove layers and carry them comfortably on your back. If you are looking for things to do in Gatlinburg in colder weather, our first recommendation is Ripley's Aquarium. It's a great place for adults and children alike. The different species of water creatures are not the only attraction. There are educational exhibits and the gift shop contains many wonderful books. 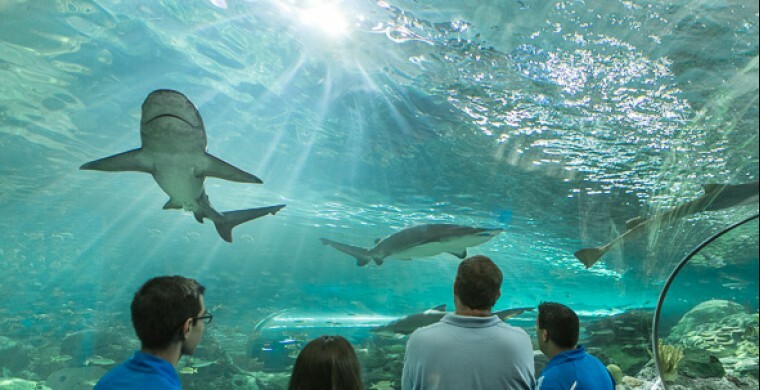 We think that a Gatlinburg Tennessee vacation is not really complete without a visit through this aquarium, which lies in the center of the city. All trolleys go to the Aquarium, by the way, so you can take a fun ride in any trolley on the way to and from the Aquarium.